Redstage brings 10 years of experience transforming digital businesses through technology, enabling retailers to scale rapidly and sell more online. JERSEY CITY, N.J. - June 27, 2018 - PRLog -- Today Redstage announced a partnership with BigCommerce to expand the agency's range of B2B digital transformation services to BigCommerce customers. 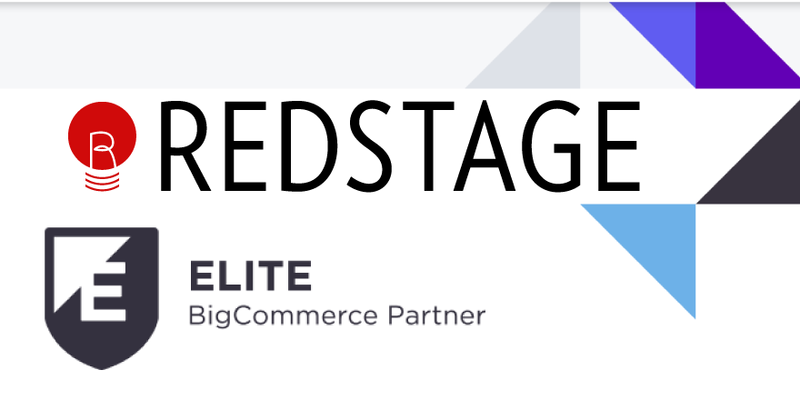 As a BigCommerce Elite Partner, Redstage will now be able to offer clients custom B2B and B2C ecommerce solutions powered by BigCommerce, the leading ecommerce platform for fast-growing and mid-market brands. "I'm excited for what we'll accomplish together through this new partnership," said Hasan Elkomey, SVP of Strategic Partnerships at Redstage, "We have such passionate people and such a diverse range of expertise across both organizations, I'm glad we can finally come together to co-create the next wave of customer experiences for B2B BigCommerce clients." Redstage will bring a new level of expertise in B2B ecommerce digital transformation to clients selling with BigCommerce, including UX/UI design, web development, integration, strategy and support. Companies of all sizes work with BigCommerce to launch, promote, manage and scale successful online businesses through its platform. According to analysis conducted by market research firm Ipsos, online stores built on BigCommerce grow approximately twice as fast as the ecommerce industry average. By selecting a flexible, cost-effective SaaS model, retailers are able to focus on managing their business, not the technology behind it. "BigCommerce is delighted to partner with Redstage to deliver extraordinary ecommerce experiences for our shared customers." BigCommerce CEO Brent Bellm said. With 10 years of experience and having collaborated on over 700 eCommerce sites, Redstage is an eCommerce powerhouse. As a Fulcrum Worldwide company, Redstage is supported by a global infrastructure comprised of more than 700 employees across 5 continents, specializing in B2B digital platform services from eCommerce development and customer experience design to application automation, data science and more. The Redstage team looks forward to sharing their experience and insight with BigCommerce B2B customers in coming months, and collaborating with the BigCommerce team on a variety of partner initiatives. To learn more about joining the thousands of industry-leading BigCommerce partners, visit: bigcommerce.com/partners (https://www.bigcommerce.com/partners/). You can learn more about Redstage's transformative B2B ecommerce services at Redstage.com (https://www.redstage.com/). Founded in 2008, Redstage specializes in design, development, growth, and strategy for digital commerce across the planet. The company provides support for a multitude of diverse market demands, with scalable services for any size enterprise. Redstage's capabilities enable the agency to build profound eCommerce experiences and conquer even the most unique B2B & B2C challenges for clients on any platform. Redstage is a BigCommerce Elite Partner, Magento Enterprise Partner, and Shopify Plus Partner.